Build your site today. No experience needed. We’ve partnered with Weebly to bring you the best in class tools that will get you up and running in no time. All MacHighway Web Hosting plans come with Weebly’s powerful drag & drop web site building tool FREE! 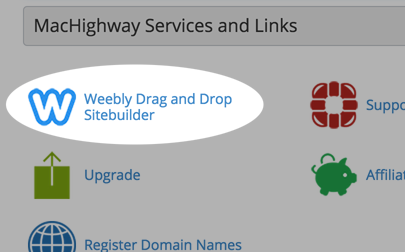 You can use Weebly to build as many web sites as your hosting plan will hold! This partnership brings you Weebly’s easy-to-use interface and high quality themes, combined with the dependable support and trusted reputation MacHighway ​has delivered to the ​world since 1997. Content elements (like text, photos, maps, and videos) are added to your website by simply dragging & dropping them into place. Text is edited just like in a word processor. Building your website is done in real time, right from within your web browser. There’s absolutely nothing to install and no upgrades to worry about. Weebly puts powerful mobile website builder tools directly into your hands. Full mobile optimization and customization is simple with a visual editor that allows you to drag and drop elements into a mobile-specific display. See exactly how your website will appear for mobile visitors. Easy and powerful customization tools give you full control over each template. Change the font, header, color scheme, and all major web design elements from a dead-simple interface. Combine these customizable elements for infinite design options. Elegant design and layout is the key to a successful website. Weebly website templates run the full spectrum of modern website design and are built for you to control, edit, and change at will. Weebly automatically sets up your website to be well optimized for search engines through the use of sitemap, automated pinging of new content, proper HTML formatting, and meta descriptions. More advanced search engine optimization settings are available as well, such as alt tags on images and page-specific descriptions. Between our Knowledgebase of how-to’s, our community forums (users helping other users), and our friendly email, chat, and phone support, you’re sure to find help when you need it. get Weebly Drag and Drop Web Site Builder for Free! Current MacHighway customers: click here for information on how to add Weebly on to your existing Hosting Plan for free! * Annual price when averaged out over 12 months. 1. How do I access Weebly? 2. Is it really free? Yes! There is no charge for the Free Weebly plan. If you need more features you can upgrade to one of the paid premium plans listed above. You can have as many of the Free Weebly plans as you have sites under your hosting plan! 3. How do I upgrade Weebly? 4. I have a hosting plan with more than one website, can I use Weebly with all of them? Yes, you can add Weebly on to each of your sites if you want. 5. What’s the refund policy for the paid premium Weebly Drag and Drop Web Site Builders? 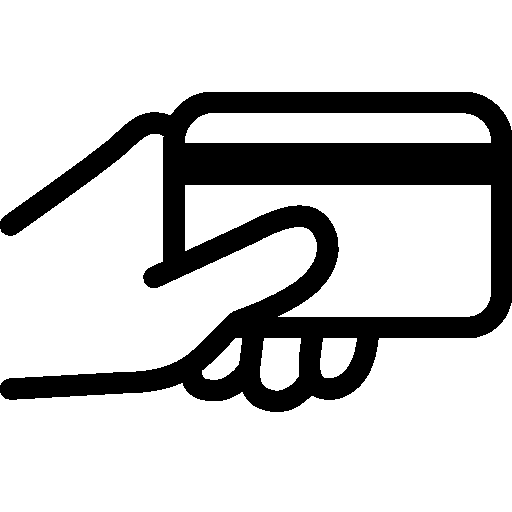 If you cancel a paid Weebly within the first 15 days we can give you a total refund, after that we can give you a pro-rated refund. 6. Where can I get help with Weebly? There are tutorials and help articles in the MacHighway Knowledgebase under our Support Center page. If you need to, you can create a ticket, open a chat, or call our support line 1-877-288-3273 for help 24/7/365. 7. I only have a DNS Hosting plan for a domain registered through MacHighway. Can I use Weebly? You can add on the Free Weebly plan and build your site, but you won’t be able to publish it until you upgrade to a standard hosting plan such as the Small, Medium, or Large. Other questions? Contact us! Send us an email with your questions. Chat with us now. Call us at 1-888-974-0334 Toll-Free in the US and Canada (International Call 1-727-800-3606).